Be where your customers are and don’t miss out on mobile sales. Learn about the latest trends in consumer mobile shopping behaviour with our annual PayPal mCommerce Index report. Smartphones are changing Australia’s online shopping behaviour. More and more Australians have switched from shopping on their computers to browsing the internet and making purchases through their mobile device (mCommerce). Mobile has become the growth engine of digital commerce and adapting your business for mobile could lead to real bottom line results. We’ve released the 2018 PayPal mCommerce Index to help businesses like yours get insights into what their mobile customers want. 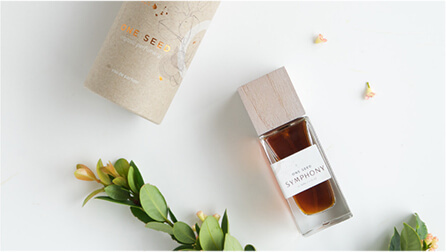 Organic perfumery, One Seed, started their business online. When they optimised for mobile, their sales doubled. Founder, Liz Cook, explains how. Building a social community was always a priority for Status Anxiety. As their fellowship grew, so too did the opportunity to sell on social. A truly engaging mobile experience must be developed with a mobile-first mentality. It’s not enough to translate a desktop site into a mobile optimised version. Make it easy for customers to move through your site. Minimise data entry, clicking or zooming, and use large buttons, fonts and a fixed navigation bar to ensure smooth steps to purchase. When you need to collect data, make it as easy and quick as possible for your customer. If numbers are needed, present the numeric keypad and for email addresses present a keyboard where the @ sign is displayed along with the .com button. Make it easy for customers to view their basket or wish list. Have easy to spot icons in the same corner of every page so that customers can easily navigate to the checkout, wherever they are on your site. It’s important that you support a wide range of screen sizes and browser types. Test your site on a range of devices, from a smartphone screen to the largest tablet. 40% of customers will abandon a site if a page takes +3 seconds to load. Make sure your engaging mobile experience is supported by software that allows a quick load time. Don’t lose customers because of a painful data entry process. If a customer encounters an error, the screen should pop back up to the field with the error, clearly marked in red. Streamline your payment process to reduce basket abandonment. Allow guest checkout, minimise text entry and use a payment solution that’s mobile-optimised, like PayPal. Find out what’s needed to get your business ready for mobile shoppers. Read the 2018 PayPal mCommerce Index for insights on Australian mobile shopping behaviour and opportunities for your business. Done! The PayPal mCommerce Index is on its way to your inbox for later reading. Download previous Annual or Trends reports.